EDITOR'S NOTE (FEB 19, 2018): Sherman Williams has changed the formula for the paint recommended in this article. We have not done any further retesting or searching for an alternative paint to recommend. Please DO NOT buy the Sherwin-Williams ProClassic Smooth Enamel Satin Extra White, # B20 W 51, which was recommended in the article as written in 2011. It is now too glossy. 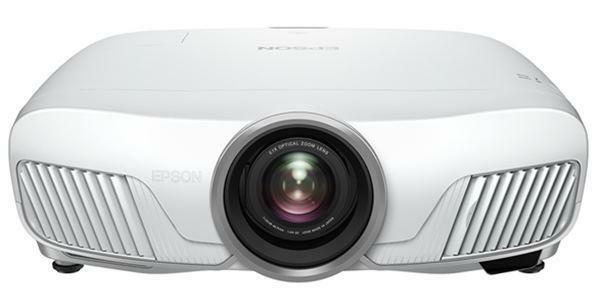 Since 1080p home theater projectors have dropped below $1,000, the demand for inexpensive screens is bigger than ever. When you spend less than $1,000 on a projector, you don't want to spend big bucks on a screen to go with it. So for hobbyists with a creative, DIY bent, let's focus on how to paint the perfect screen for under $100. We will look for a good paint solution because it is easy, cheap, and it doesn't warp and ripple over time like fabric screens can do. First, if we are going to build a great screen, we need a standard of perfection to compare it to. That, to us, is the Stewart Studiotek 100, a perfectly neutral 1.0 gain white screen that reflects back exactly what the projector puts out. It has absolutely no color bias, no gain, with a pure smooth finish that reflects the maximum amount of image detail. Since white paint will have a gain of about 1.0, the Studiotek 100 is a good benchmark against which to compare our results. Many people are interested in gray screens and paints due to their increased black level. So we started our evaluation with the popular Behr Silver Screen formula. We painted a test board and mounted it in front of the Studiotek 100. Illuminating these two surfaces with a variety of test patterns and video clips revealed significant differences in contrast and color balance. The one advantage the Behr Silver Screen had over the Studiotek 100 was black level, which is expected from gray paint--the darker the screen, the darker the black level. In scenes with a black background and white highlights such as rolling credits, the paint showed a higher contrast image and a much more solid black. The Behr Silver Screen is the perfect solution for people who watch rolling credits. Unfortunately, that's not what 99% of one's viewing subject matter consists of. The Behr image was 27% dimmer than the Studiotek 100. That, in itself, is not a problem if you have a small enough screen or a bright enough projector. But the Behr Silver Screen kills color saturation, and it appears to reduce vibrancy in the warmer end of the spectrum. This should not be surprising. Imagine, what do you get when you mix gray with yellow? You get a grayish yellow. If you mix gray and blue you get a grayish blue. But the compromise of the yellow is more noticeable. On the Behr gray paint, flesh tones looked horrible, appearing dirty or ash-colored in comparison to the Studiotek 100. Red and yellow color saturation is the most muted, and white highlights appear as subdued grays. Overall, the Behr Silver Screen paint does not deliver a balanced image. It certainly is not showing you what the projector is putting out. On its own, due to its increased black level, it may look fine if you don't have anything to compare it to, and the deep black creates an impressive sense of contrast under the right circumstances. But it is not a paint we would recommend for optimum home theater performance. Gray screens were invented to compensate for the low contrast projectors of years past. But with today's high contrast models, we favor the use of white screens unless you have chronic uncontrolled ambient light. Since white paint should have a gain of about 1.0, the same as the Studiotek 100, we set out to see how close we could come to replicating the performance of the Studiotek 100 with white paint. Would it be possible to find a perfect replica? Of course, there are paints out there that are specially designed for home theater. Goo Systems makes a great (and very popular) paint product. Previous testing with Goo showed that it is perfectly color balanced, and an impressive product. But for this project we wanted to keep total screen cost under $100, and Goo costs more than that. Other companies make paints they claim are formulated for home theater screens. But since they cost upwards of $200 a gallon, they already blew our target budget for a $100 screen. We limited our evaluation to white paints most people can find locally for under $20 per quart. If you go to your local paint store, you'll find an array of paint chips that represent different formulas of white. They have names like Polar Bear, Snow Fall, Swan Wing, Moon Rise, and so on. They all look white. But none of them are the perfectly neutral white that you want on a home theater screen. They each have a subtle color bias that will affect how your projected image looks. If the white has a bright, cold, crisp tone, it is because it is reflecting more blue light than is ideal. If you use this shade of white on your screen, flesh tones will look a bit cooler than the projector is putting out, while blue skies will be slightly oversaturated. Conversely, warmer tone white paints look warmer because they are reflecting a bit more red and yellow relative to blue. They will give flesh tones a bit more warmth than normal, while reducing the brilliance of a blue sky or the fresh look of green grass. The objective is to avoid these errors. So how do you get neutral white? In theory, the most neutral white in any paint vendor's product line should be the base white that exists before any pigment is added. So that's where we started.